Not for Profit health organisations have applauded the decision by the High Court to reject a challenge made by international tobacco companies over the Federal Government’s plain packaging laws. Quit Victoria and the Australian Council of Smoking and Health say the decision is a massive win for public health in Australia after the High Court rejected a challenge by British American Tobacco, Phillip Morris, Japan Tobacco International and Imperial Tobacco Australia that the Gillard Government’s Tobacco Plain Packaging legislation was in breach of the Constitution. “This is a massive win for public health – and the worst defeat yet for Big Tobacco. The global tobacco companies have opposed plain packaging more ferociously than any other measure we have seen,” President of the Australian Council on Smoking and Health, Professor Mike Daube said. Quit Victoria Policy Manager Kylie Lindorff said that the decision will bring Australia one step closer to realising a smoke-free generation. “Today’s judgement has not only upheld the Australian government’s right to protect the health of its citizens, it has also removed the tobacco industry’s last remaining advertising stronghold,” she said. 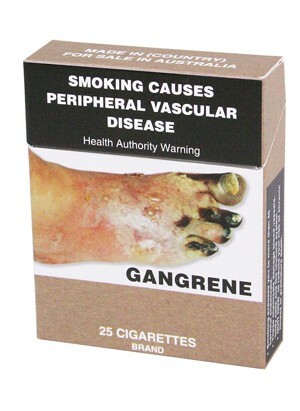 According to the Australian Medicare Local Alliance Chair, Dr Arn Sprogis, by December 1 this year tobacco companies selling cigarettes in Australia will have to standardise the marketing of their cigarette packs in an ordinary olive-brown colour featuring large graphic health warnings with minimal space for their specific brand name. “Cigarette packs will be marketed as boring, ugly products that cause harm. In effect the tobacco industry’s marketing power has been stymied significantly,” she said.